Dance to your own beat with Just Dance® 2019, the ultimate dance game featuring 40 hot tracks from chart-topping hits to family favorites, including “Havana” by Camila Cabello, “Bang Bang Bang” by BIGBANG, “No Tears Left To Cry” by Ariana Grande, and many more! 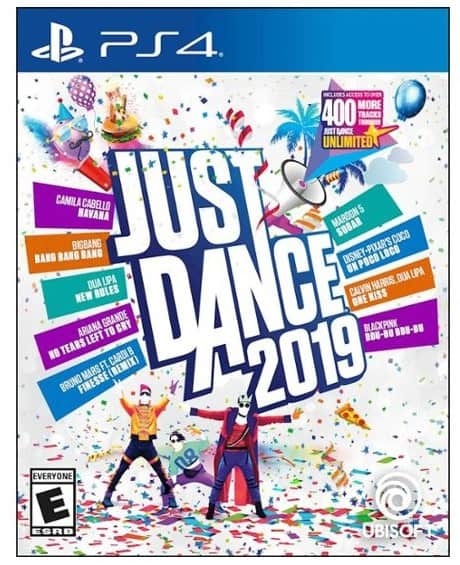 Best Buy has Just Dance 2019 – PlayStation 4 for $19.99 (Reg $39.99). FREE Shipping on orders $35+.